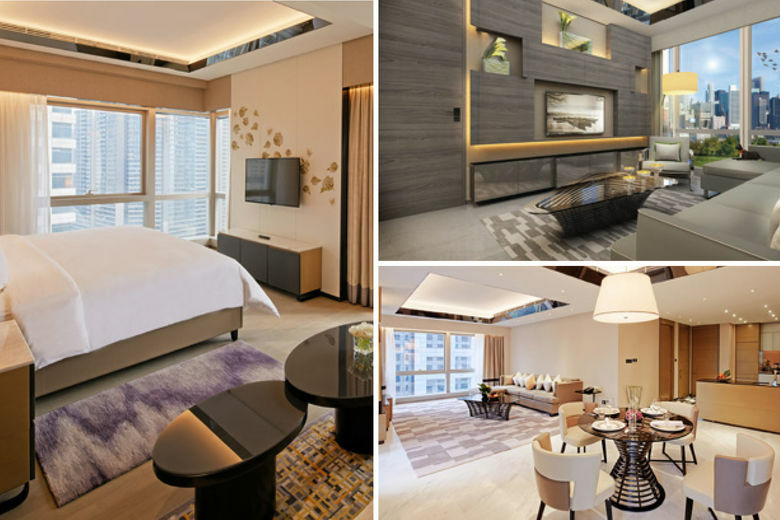 Just minutes from ancient temples and the Guangzhou Opera House, Jumeirah Living Guangzhou, is in the heart of Zhujiang New Town Central Business District (CBD), and marks a defining moment in luxury hospitality for the capital of Guangdong province. Surrounded by shimmering skyscrapers, the hotel is set near iconic attractions including Guangdong Museum and Guangzhou International Finance Centre. Nestled between the commercial and executive sides of this vibrant city is the new Jumeirah Living Guangzhou. The hotel curates the perfect balance of private home comfort coupled with the legendary Jumeirah service, offering 108 rooms, 18 suites and 169 luxurious residences. The two sophisticated skyscrapers stand impressively among the cosmopolitan skyline, giving discerning guests and residents of Guangzhou a quick and convenient escape from the inner city to what feels like a whole new world of abundance and luxury. The south tower is designed with a more traditional sense of luxury and indulgence. The hall and main entrance exude neoclassical architecture, with spacious rooms, double-height ceilings and marble surfaces. The lines of symmetry reflect the layout of a grand palatial residence. This aesthetic continues into the residential accommodation, with traditional carvings occupying every surface of the room, from the doors and architraves to the cornices. Flowers have also been incorporated into the design, referencing Guangzhou’s colourful history and the English rose. The north tower offers a slick approach to luxury, designed to be chic, sleek and polished. Not only does this contemporary aesthetic employ a sense of simplicity and elegance, it also seamlessly integrates elements of East meets West in every detail, catering to the needs of Guangzhou’s growing young executive population. The city is the third largest in China, and is regarded to be a prominent business hub, welcoming visitors from all business tiers and backgrounds.